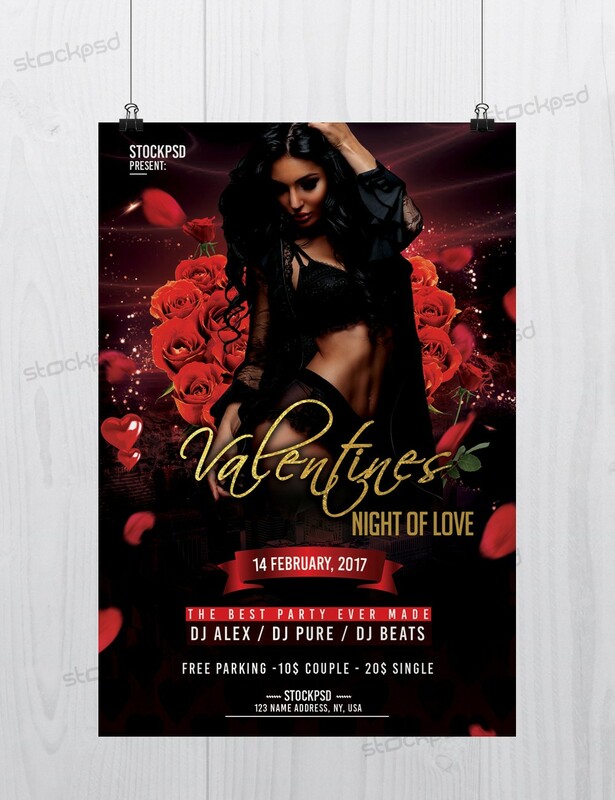 Valentine’s Night Love is a Free PSD Flyer Template to Download. 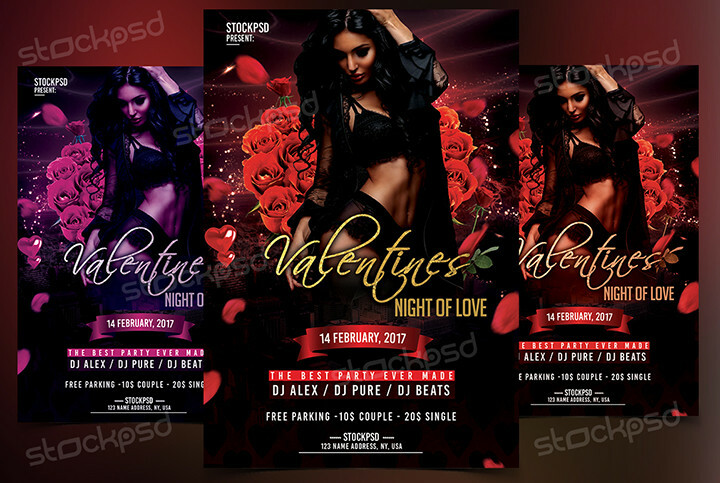 This Flyer is suitable for any Valentines Day event or party in Valentines style. PSD File is fully editable and very easy to edit & customize.